Sunderland are reportedly eyeing Sheffield United defender Ben Heneghan in this transfer window, according to Sky Sports’ Keith Downie. Downie confirmed Sunderland’s interest in the Sheffield United defender, who is currently on loan at Blackpool. Sunderland interested in Sheffield United defender Ben Heneghan, we’re told. He’s been on loan at Blackpool. 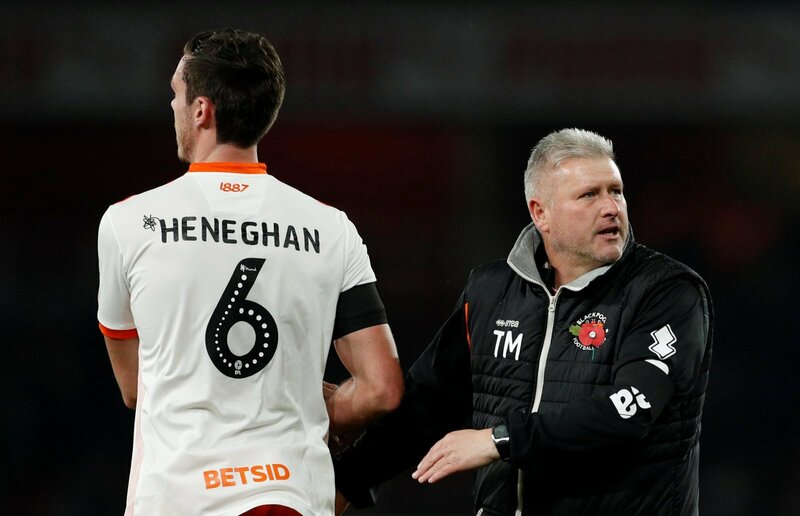 Heneghan has impressed with Blackpool this season and has played a crucial role in Blackpool’s surprise promotion push this season. The Tangerines have only conceded 25 goals in this year’s campaign and they will be hoping that Sheffield United don’t choose to recall the defender. The 25-year-old has only made one appearance for the Blades since he joined them in August 2017, and it’s clear to see that his future evidently lies elsewhere. He can play at either centre-back or right-back and would be the ideal signing for Sunderland as they look to add some depth to their squad for the rest of the season. Sunderland are currently sat third in the League One table and challenging for an instant return to the second-tier. He has been hugely impressive this season and would be an excellent addition for Sunderland. Jack Ross’ side need depth in defensive areas and he would be the perfect signing this month for the Black Cats. If he can continue his good run of form, then I’m confident in saying he can play a starring role in their promotion push this season if he joins Sunderland. Derby County eyeing ambitious Premier League swoop – But just how good is their target?